The kids in Mr. Caruthers’s class don’t want a world without cartoons. Can they persuade Walt Disney to pursue his passion? Book two in an action-packed time-travel series. “What if Walt Disney quit and never made Steamboat Willie?” That’s the question Mr. Caruthers poses to his third grade class on Monday morning. 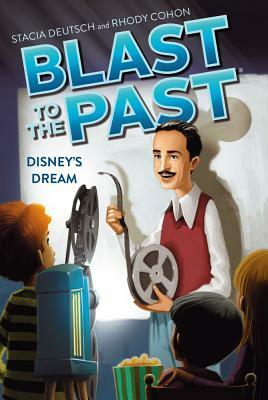 Abigail, Jacob, Zack, and Bo are excited to travel back in time and meet Walt Disney, and they’re determined to convince Mr. Disney not give up making the first animated movie with sound. After all, what would their world be like without modern cartoons? Not to mention no Mickey Mouse, no Disneyland, and no Disney Channel! But will the kids be able to help Mr. Disney follow his dream before time runs out?